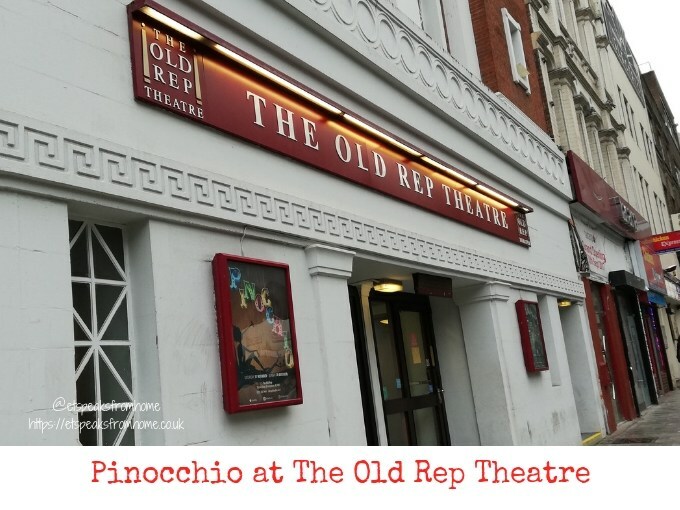 This Christmas season, if you happen to be in Birmingham or are planning things to do with your family, why not check out this outstanding performance of Pinocchio at The Old Rep Theatre? This adaptation of Carlo Collodi’s classic tale Pinocchio is now showing until the 30th December 2018! Inflata Nation Birmingham has now opened their doors to the public! 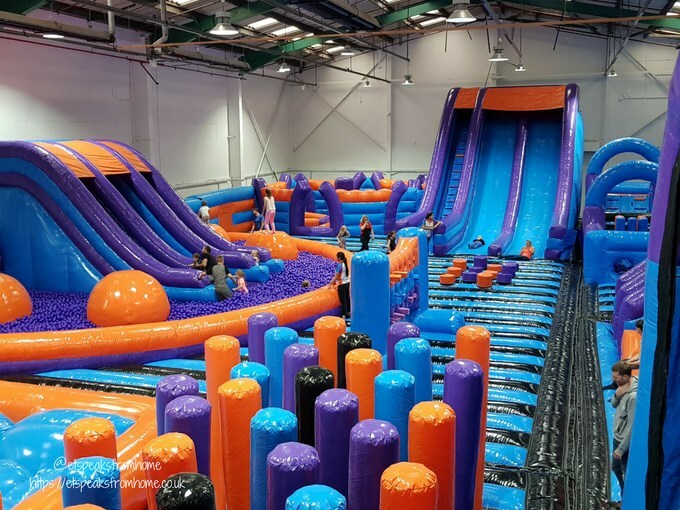 This £500,000 inflatable indoor theme park is located in Stechford Retail Park, which includes everything from a dedicated arena with its own slide and ball pool for under four year olds, to giant inflatable slides and an awesome two-lane assault course. This place is great for family days out and can be enjoyed by all ages, shapes and physical ability. They also offer a variety of classes, such as fitness classes, disability friendly sessions, grown-ups only sessions, Inflata Tots sessions (just for pre-schoolers) and parties. 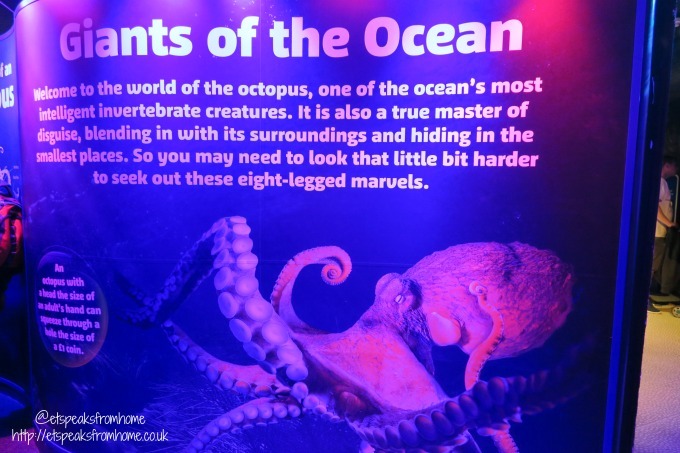 Octopus Hideout is a brand new underwater attraction that will mesmerise visitors at Birmingham’s National Sea Life Centre. It features Beverley the giant pacific octopus named after local singing sensation, Beverley Knight! She is a true master of disguise who can blend into her surroundings with her camouflage skills and squeeze into spaces as small as the head of the needle. In fact, she did hide so well that we couldn’t see her and her friends! Did you know that octopus have three hearts and blue blood? There are a lot of interesting facts that we learnt by visiting on this occasion. 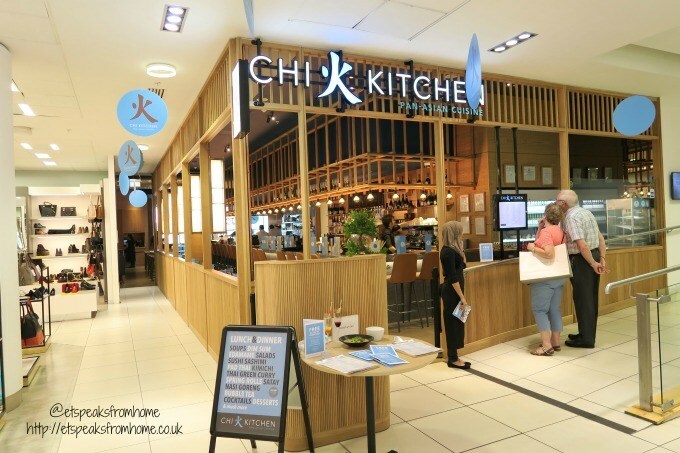 Chi Kitchen is a contemporary Pan-Asian restaurant created as an exclusive departmental brand for Debenhams. Currently, there are two restaurants opened in London and Birmingham. The ground floor in Debenhams Oxford Street can accommodate up to 68 guests. While the third floor of Debenhams in the Bullring, Birmingham, can accommodate 108 guests, with both sites also featuring a welcoming champagne bar. Their menu, offers a great variety of tasty and exotic food influenced by Thai, Chinese, Malaysian, Japanese, Vietnamese and Korean food. Living so close to Birmingham, we have visited Cadbury World a couple of times before. There is always something interesting to do there, new features and experiences and not forgetting the delicious chocolate to devour! It is not just a chocolate factory tour – they have something for everyone to do there, big or small. My children particularly like the Cadabra ride, plus the new 4D cinema experience and there are a lot of outdoor facilities like the African Adventure Play Area and table tennis. Last week, Smiggle opened in Birmingham Bullring and I was invited to see the showcase of their Christmas range. I have to be honest and say that I had not heard of Smiggle until two months ago and even while I was in Singapore for holiday. Smiggle started in Australia 11 years ago and now there are over 160 stores across Australia, New Zealand and Singapore. Smiggle are now opening stores in the UK. To date, they have opened 12 stores with a further 6 stores due to open before Christmas. Smiggle is dedicated to fuelling the creative spirit by delivering original, fun and affordable stationery. Their products are about great design and innovation, bold colours, quirky graphics, good value and most of all fun! 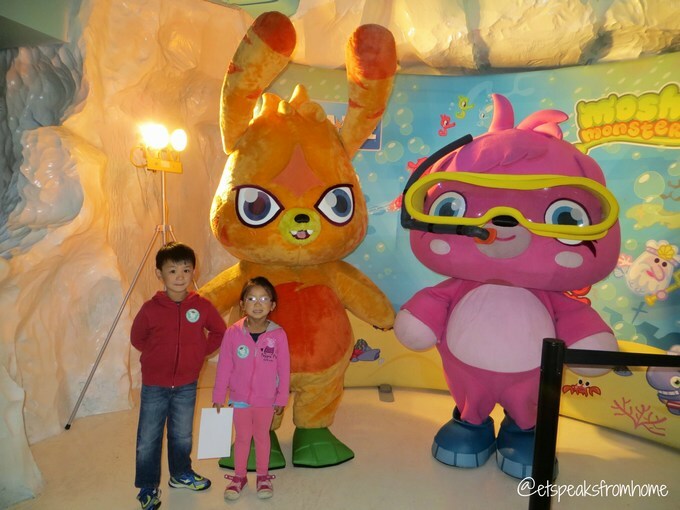 The National Sea Life Centre in Birmingham is set to welcome a trio of Moshi Monsters, characters from an online virtual world which has captured the imaginations of 85 million children across the globe, from Saturday 19th July, to Sunday, 31st August 2014. Katsuma, Poppet, and Monstro City’s number one Moshling conservationist, Buster Bumblechops, are on a mission to save our amazing marine creatures. We were fortunate to be invited to attend The National SEA LIFE Centre in Birmingham, sneak preview to meet the new members – PENGUINS! The new Penguin Ice Adventure will open its doors on 7th April 2014. The Antarctic-themed enclosure is home to a colony of 12 Gentoo penguins that have flown over 11,000 miles from Auckland, New Zealand to make the Midlands attraction their brand new home. If you are coming down to Birmingham to do your shopping or to visit the Frankfurt Christmas Market, why not pop by to the Winter Skate. They are open for a limited of time only, until 5 January 2014, every day from 10 am to 10 pm. This morning, we were all so excited to don our ice skating boots as the children had never tried it before and it had been over 20 years ago that Mr C and I were last on the ice. This Summer at Birmingham Airport, a fun and exciting children’s adventure has launched to give the thousands of youngsters a fun and engaging experience before they fly, and peace for the parents! We were fortunate to get a chance to experience it without having to fly! The Sky Side experience is free to join and will start from the moment the child arrives at check-in and ends when they arrive at a themed Sky Zone. Each child will get a booklet to complete the simple and fun mission. Look out for Zoom! 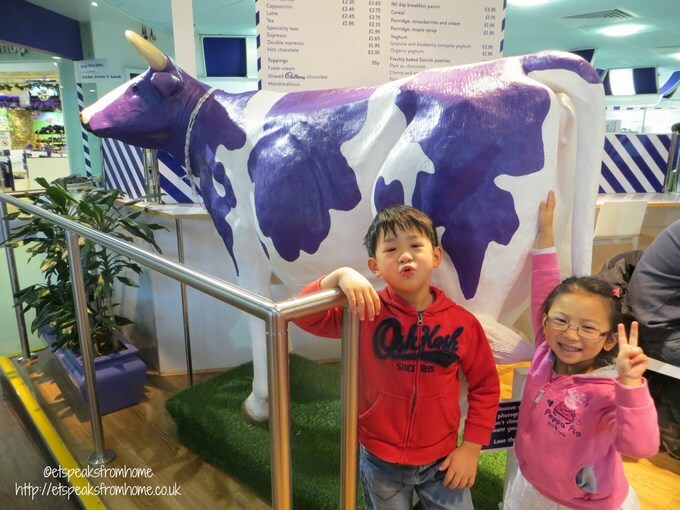 A trip to Cadbury World! I love to shop at Tesco because of their Tesco clubcard rewards. They help me to save a lot of money for activities. A few weeks ago, I exchanged £7.50 of vouchers for £30 Days Out Token. I received the voucher within a week and it gave me 6 months to use before it expired. There is free admission for under 4’s at Cadbury World. One important pre-trip thing I almost forgot to do is phone ahead to book a time slot to ensure that they have tickets available. Luckily, my friend reminded me and I managed to book a 9.50 am slot. According to my sat nav, it should take only 40 minutes to arrive. What the sat nav didn’t take into account is rush hour traffic! In the end it took us over an hour to get there and I was like an ant in a hot pot! The main car park was full when we got there and we had to park in the overflow car park. We had not paid for our tickets yet and with the huge queue, to get in, I was already so stressed! However, the queue moved along quite quickly as some people were not suppose to be in the queue as they were too early for their time slot. We got our tickets checked and were each given a Curlywurly and a Crunchie. When we first got into the Journey to Europe exhibition, it was a scene of dark forest with trees, water and snakes! Ms C was so scared that she wanted me to hold her and she started to cry! Bless her! I had to quickly walk past everything as she was so scared. Soon we arrived at the Bull Street of Cadbury store, where we had to wait to get into the theatre.